Black and White 60’s Mod Earrings. 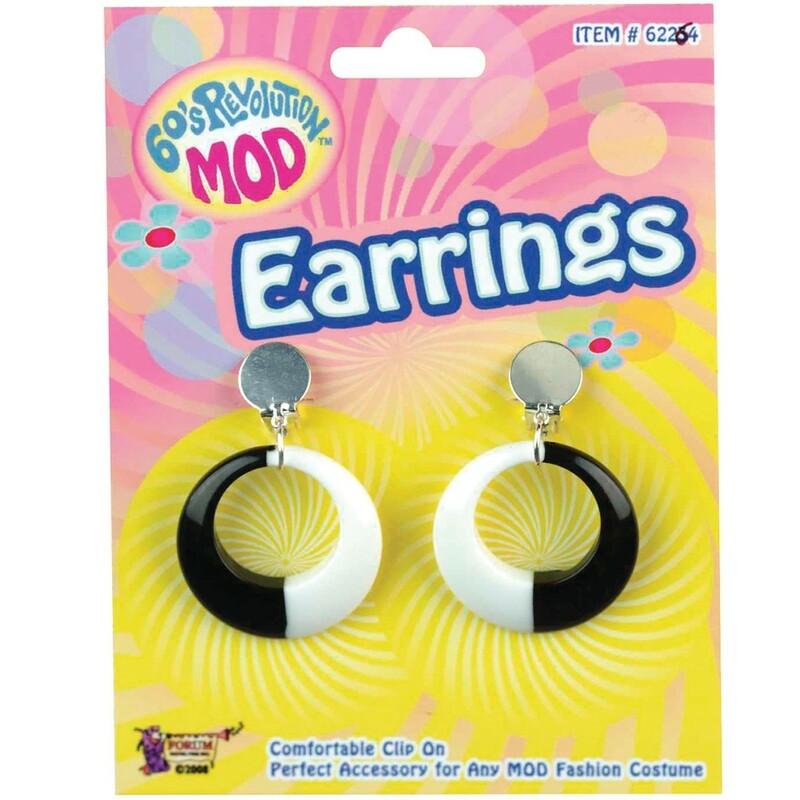 60’s Mod Earrings – These black and white circular 60’s Mod Earrings are clip on and the perfect accessory to top off your 1960s mod girl look! 1 x Pair of 60’s Mod Earrings.